Indian telecom regulator Trai revealed that the number of fixed and mobile subscribers had crossed the 500 million mark in September, a year ahead of schedule. 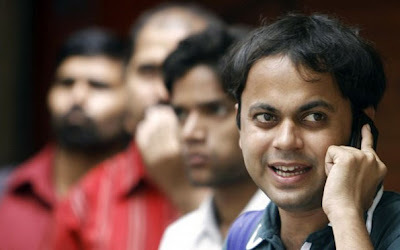 Total phone subscribers reached 509 million, with wireless subscribers growing 3.28% to 471.7 million, Trai said. With 15 million new mobile subs in September, Indian cellcos are on track to hit 500 million wireless subs around the end of November. Tata Indicom maintained its market lead, with a 26.7% share. Three operators battled closely for second place – Bharti, with 16.7% market share, Reliance with 13.4% and Vodafone with 13.1%. By contrast, the wireline customer base fell to 37.31 million from 33.33 million, with state-owned operators BSNL and MTNL feeling the brunt of the subscriber exodus. Overall teledensity reached 43.5%. Broadband subscribers increased 3.3% to 7.2 million.